Do chiropractors “crack” or “move” bones? The majority of the public does not know the answer to this question. The famed “cracking” is known as a spinal manipulation, or an adjustment. There are many different types of adjustments that can be performed, but they are most commonly referred to as HVLA (high velocity, low amplitude) adjustments, meaning they are performed using small but quick movements. Joints can become fixated, or locked, due to posture, trauma, lifestyle choices, etc. When joints lose their natural motion, they can become inflamed and painful. The primary purpose of the adjustment is to promote increased motion into those joints. However, it is not always necessary for pain relief. In a typical patient visit at Block Chiropractic and Sports Physical Therapy, our licensed chiropractor in Smithtown or Selden will assess the region of complaint, as well as above and below, to determine which areas of the spine to treat. Only when determined appropriate will our chiropractor in Smithtown or Selden perform an adjustment. In order to perform such technique, our chiropractor will put the joint into its available end range and deliver a controlled force into the joint. This causes gapping of the joints, known as the “crack”. This gapping, or cavitation of the joint, causes the fluid in the joint to release gas from the joint capsule, which produces the “popping” noise heard following an adjustment. Once the motion has been restored in the joint capsule, stimulation of the mechanoreceptors occurs. A mechanoreceptor is simply a cell in the body that interprets touch. The new stimulation causes a neurological response in the brain that helps to decrease the perception of pain, which is also known as the Gate Control Theory. It is similar to when someone jams their finger and starts shaking it around, or rubbing it, to help decrease the pain felt in the finger. An adjustment is also shown to release endorphins, which are natural hormones with analgesic (pain relief) effect. What conditions can an adjustment help to treat? Neurological conditions: sciatica, radicular symptoms, etc. The JAMA (Journal of the American Medical Association) concluded that spinal manipulation therapy was effective in treating acute lower back complaints in terms of pain and function. Spinal adjustments can also be very effective for treating headache symptoms. Research shows that approximately 47% of the population deals with headaches, and 15-20% of those are considered cervicogenic – headaches that are accompanied with neck pain and stiffness. Since there is an underlying cervical issue associated with these types of headaches, spinal adjustments are very effective treatments. Having our neck in this position for prolonged amounts of time will lead to muscular imbalances and increased stress on the intervertebral discs leading to earlier degeneration of our spine. This abnormal posture can also lead to other issues like headaches, shoulder dysfunction, and neurological complaints. 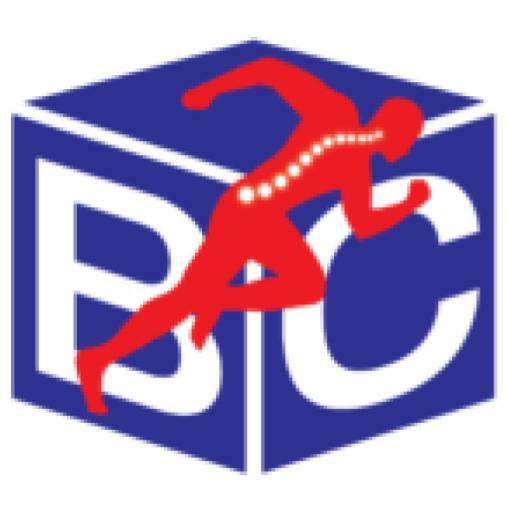 Our chiropractor in Smithtown or Selden at Block Chiropractic Sports and Physical Therapy have an extensive history working with athletes. They are also the team chiropractors for two local colleges, Stony Brook University and LIU Post. At our office, we offer Selective Functional Movement Screens (SFMA) or Functional Movement Screens (FMS) to determine if there are any stability or movement dysfunctions in the body, particularly in the spine. Correcting these mobility issues can be very beneficial for athletes who are trying to gain that extra edge in their respective sports. For example, thoracic mobility and shoulder function are closely related. If you are a pitcher with thoracic mobility issues, then that could lead to extra stress put on the shoulders and elbows causing stiffness, pain or even rotator cuff or “Tommy John” injuries. Therefore, improving thoracic mobility can lead to improved shoulder function leading to less injuries and overall improved performance. Chiropractic isn’t just limited to college sports and athletes. Professional athletes are always searching for that edge, which can help to set them apart from their competitors. All 32 NFL teams utilize a chiropractor as part of their medical support team and the majority of the other major sports also incorporate chiropractic to help keep their athletes in top physical shape. Some of the world’s best athletes like Tiger Woods, Jerry Rice and Michael Jordan have all used chiropractors to help keep them at the top of their respective sports. 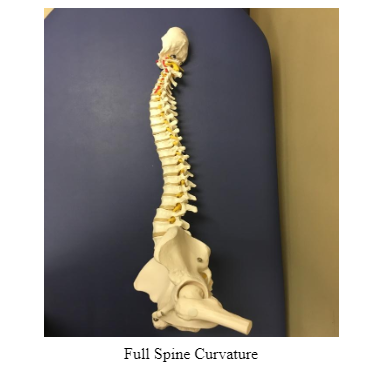 Our chiropractor at Selden or Smithtown at Block Chiropractic Sports and Physical Therapy are certified in Chiropractic Biophysics, which is a technique used to restore the normal curves of the spine. The cervical and lumbar regions have a normal lordosis, where as the thoracic spine has a normal kyphosis (pictured below). Postural exercises are also utilized to address the muscular imbalances. Patient education on ergonomics and proper posture is also integral when trying to address and correct these painful postural issues. There is a common misconception in the public that spinal manipulations, especially in the cervical spine, can cause paralysis or strokes. This could not be further from the truth! Research shows that there are 818 incidents out of 100 million or .000818%, showing it is a very rare occurrence. When an incident does happen, it is likely that these patients already had an injury to the vertebral artery. 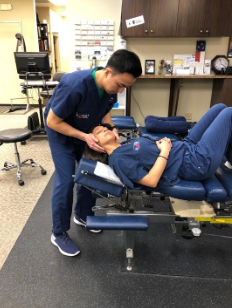 Our experienced chiropractors at Block Chiropractic and Sports Physical Therapy always screen the vertebral artery to make sure there is no dissection, or tear, present prior to adjusting. It is also important to note that Chiropractor’s have one of the lowest malpractice rates compared to other medical professionals. Malpractice insurance is to protect medical professionals against patients who sue them with claims that they were harmed by the physician’s negligence. Surgeons and OB/GYN practitioners get sued the most, which means that those providers pay the highest malpractice insurance premium. On average, OB/GYN doctors pay around $100-200,000 a year while surgeons pay anywhere from $50-150,000 a year for malpractice7. Chiropractors pay $2,000-2,500 a year, which shows that a chiropractic treatment is very safe. Any mild side effects, such as soreness, will be discussed with the patient during the initial examination. Who should get a chiropractic evaluation? The answer to this question is EVERYONE. Think about how many people go to the dentist for cleanings very 6 months to make sure their teeth are clean! Why does the same not go for chiropractic evaluation? If you think about it, a chiropractic check-up or tune-up may be more important than a dentist. Not to undermine the important of teeth/gum health, but teeth are replaceable with dentures with typically minimal complications. The spine is not replaceable – we cannot simply take the spinal cord out and put a new one in. Therefore, it is important to keep the one we were given health! This is not to say that everyone requires an adjustment, but to get a yearly check-up on your nervous system, the thing that literally makes us the human beings we are, is very important and beneficial. At Block Chiropractic Sports and Physical Therapy, our motto is conservative therapy first, medicine second. We believe that pharmacological intervention has a time and place, however, conservative treatment from a specialized chiropractor has been shown be just as effective, if not more effective, than pain medication. Instead of relying on pain meds, there are other options that can get you feeling better like diet and lifestyle changes. Whether it is to see our chiropractors or physical therapists in Smithtown or Selden, let one of our providers evaluate and develop a treatment plan that will help you in reaching your goals for this upcoming year. 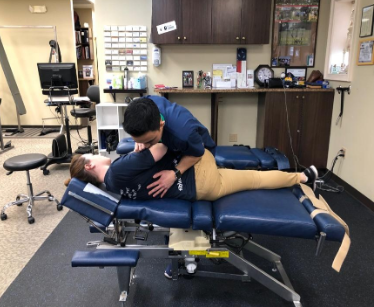 Whether it is to see our chiropractors or physical therapists in Smithtown or Selden, let one of our providers evaluate and develop a treatment plan that will help you in reaching your goals for this upcoming year.